Throughout Beane’s tenure as GM of the Oakland Athletics, he has made a number of trades with the Kenny Williams led Chicago White Sox (see Billy Koch, Nick Swisher). These Winter Meetings have paired the teams together once again for another headline trade. It feels like déjà vu. Last year Beane attempted to fix a poor gamble by flipping Jeff Samardzija after acquiring him at the previous trade deadline. Beane traded his number one prospect (Addison Russell) for Samardzija; the A’s did not make the playoffs, and Beane tried to see what else he could get out of the failed trade. Last offseason Beane traded Josh Donaldson for Brett Lawrie and others. 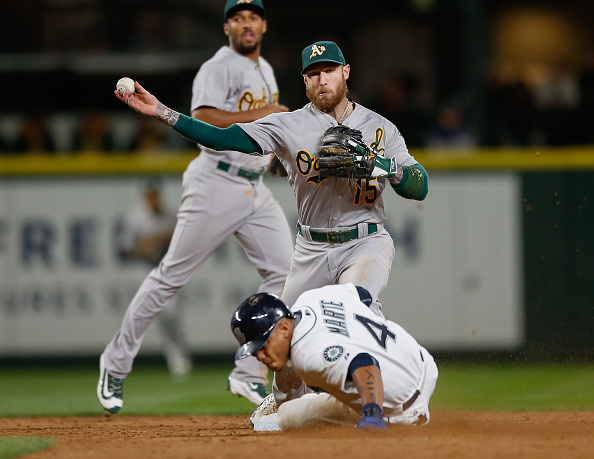 It was a sell-high move and Lawrie was supposed to be able to soak up some of the lost ground from Donaldson. Well, Donaldson is the AL MVP and Beane has now made a similar move as he did with Samardzija. Lawrie is shipped out of town to hedge his losses. Where else to turn to but Kenny Williams and the White Sox? The White Sox biggest trump card for this trade is he is an improvement on last year’s third basemen group. In fact, he’s probably better than the last decade’s worth of third basemen on the White Sox. That isn’t as big of a compliment as one might think. It’s a common belief that power is supposed to come from your corner infield positions and Lawrie is far from your prototypical power guy. For what it’s worth, he would have ranked second in homeruns on the White Sox with 16 last season. There are rumors that Lawrie may possibly play second baseman as the White Sox may still be shopping at third. Before the trade, the White Sox were looking at three middling options for the two middle infield positions – Micah Johnson has a good bat, Carlos Sanchez has the glove and Tyler Saladino has a little bit of both. If the plan is to bring in another bat to play third that does give the White Sox depth in the middle and possibly another trade piece. Billy Beane can turn on a dime and suddenly go into all-in mode but right now it looks like 2016 will be a re-building year for the A’s. The Athletics were not able to get a major league ready player out of this trade as both pitchers received from the White Sox look to be at least a season away. After trading Drew Pomeranz and Jesse Chavez this offseason already, it looks like the plan starts a few years down the road. Beane can always do the unexpected and even trading Sonny Gray can’t be completely out of the question. The future is as cloudy as ever in Oakland.